Today our expert guest is Greg Schop. He is a former teenage bodybuilding competitor, a certified personal trainer, an English professor, and a published author. His latest book, Huge in High School: Fitness for Life, has started a grassroots movement to help parents and students build a framework that establishes the foundation for long-term success. Greg started weight lifting when he was 12 years old, and (inspired by Arnold Schwarzenegger) he continued to practice bodybuilding throughout high school. This practice created the foundation for Greg’s future goals and lifestyle. Juggling body building and typical high school life requires a rigid schedule – wake up, go to school, work out, do homework, eat, go to bed, repeat. 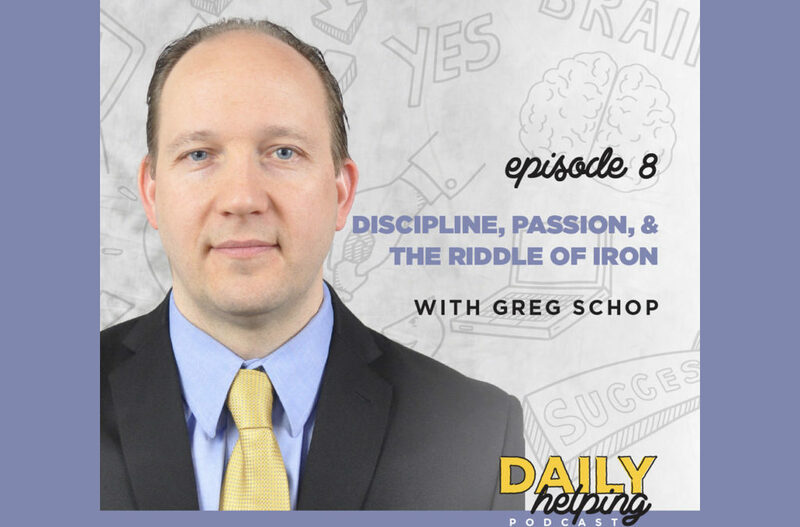 The discipline stuck with Greg, and it still helps him get things done. Greg’s experience highlights something important: the things we do in our formative years stick with us, for better or for worse, and they can lead us to our passions. You are building a foundation for your life as you enter adulthood, and laying a structured foundation can help you in the long term. Do you want to join the #HugeInHighschool movement? If you’re in high school (or you know somebody who is), share something that you do and you are passionate about on social media using the hashtag. It doesn’t have to be related to fitness – It’s all about developing the discipline and courage it takes to live a big life that is right for YOU. Live to lift another day. You have a long life ahead of you – take your time, don’t take shortcuts, and be safe. While you’re in high school, find your passions… and follow them for your entire life.